With her stiff posture, black-rimmed glasses and chestnut waves in a tight bun, Cameron Winslow's downstairs neighbor, Margaret Story, has long been the unaware star of his filthiest dirty-librarian fantasies. But with a floundering business eating up all his time, Cam doesn't have the open road he'd need to date a lady like Margaret. Margaret, who grew up down the road from Cameron, has always thought of him as a cross between a bully and a tease, as likely to pull her braids as pull her leg. But he's grown up to be a smokin' hot businessman, and Margaret can't help daydreaming about what it would feel like to be under, um, with someone like him. 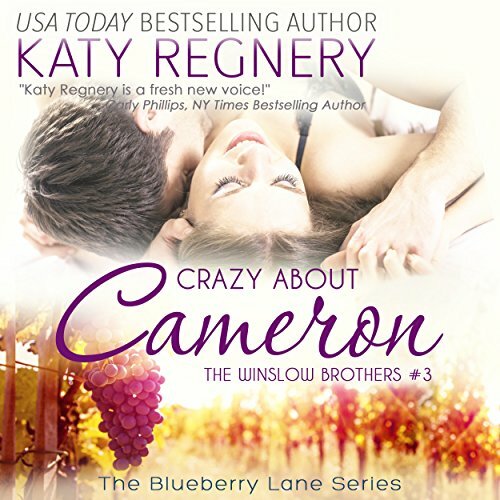 When hot-headed Cameron and buttoned-up Margaret start using the same shady contractor for apartment renovations, Margaret may find herself in some unexpected trouble, which forces long-hidden feelings to come out of hiding...and might just make way for two unlikely fantasies to finally come true. Would you listen to Crazy About Cameron again? Why?